A home seller typically has one main concern when deciding to put a property on the market – how to get the best price in the shortest time frame. Put on your buyer’s shoes when thinking about your home and don’t underestimate the impact small details can have about the perceived condition of your home. A buyer’s first impression begins to develop within 15 seconds after arriving at your property! Start by building “curb appeal.” Clean up trash and debris and sweep the sidewalk and front walkway. Remove weeds growing between cracks. Badly cracked or settled concrete areas should be repaired. Reseal if you have an asphalt driveway. A fresh coat of paint to the siding, trim, doors or shutters can be one of the best investments to increase the value of your home. Power washing can restore aluminum or vinyl siding while removing cobwebs. Clean and adjust your gutters and downspouts. Make sure all roof drainage is at least 3 feet from the foundation. Spice up the front door area with new hardware, house numbers and a planter near the door. Wash the windows and replace any cracked glass. A clean and well organized garage speaks well of your house. Install tool hangers and shelves to organize loose articles. Have a garage sale and dispose of unused items that make your garage look smaller. 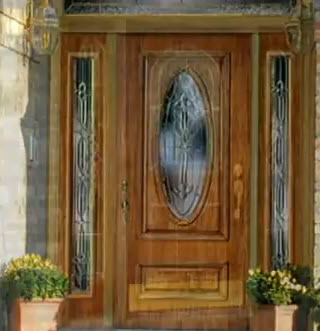 Today’s video, “How To Replace A Front Entry Door,” from the Today’s Home Remodeler TV series features Dusty Dvorak from Waudena Millwork. It’s coming up on 85,000 views on YouTube! And for more videos on home building, remodeling and maintenance, visit our website.